North Carolina Governor Roy Cooper declares state of emergency ahead of Hurricane Irma. North Carolina Governor Roy Cooper on Wednesday afternoon declared a state of emergency for the entire state ahead of the possible impact of Hurricane Irma. The state of emergency will go into effect at 8:00 a.m. Thursday, Cooper said, according to local Fox8 television. “You need to start preparing for some type of impact,” Cooper said. Hurricane Irma remains a Category 5 storm as of the National Hurricane Center’s advisory issued on Wednesday afternoon (local time). The storm has maximum sustained winds of 185 mph with gusts up to 225 mph. On Monday, Florida Governor Rick Scott declared a state of emergency in every county in the state in preparation for Hurricane Irma, after it had been upgraded to a Category 4 storm. Puerto Rico Gov. Ricardo Rosselló had also declared a state of emergency ahead of the impending storm. 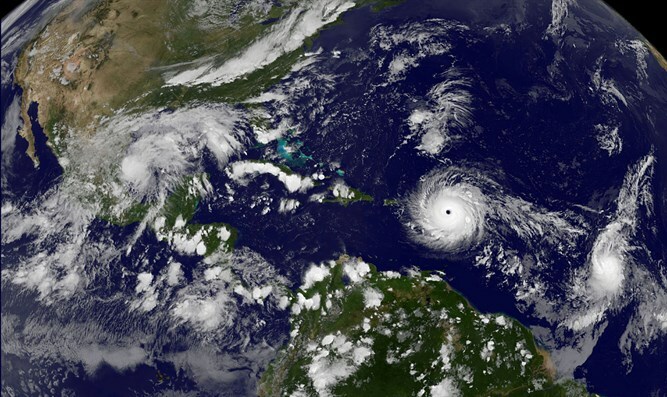 On Tuesday, Rosselló warned that the effects of Hurricane Irma could be catastrophic and calling the storm more dangerous than Hurricane Harvey. “It is much more dangerous than Harvey. The results could be catastrophic and devastating,” he said. President Donald Trump declared emergencies in Florida, Puerto Rico and the U.S. Virgin Islands on Tuesday night, thus authorizing the Department of Homeland Security and the Federal Emergency Management Agency to co-ordinate disaster relief efforts in those places.